Wishing u all a very happy new year!! I always like to begin the new year on a sweet note. 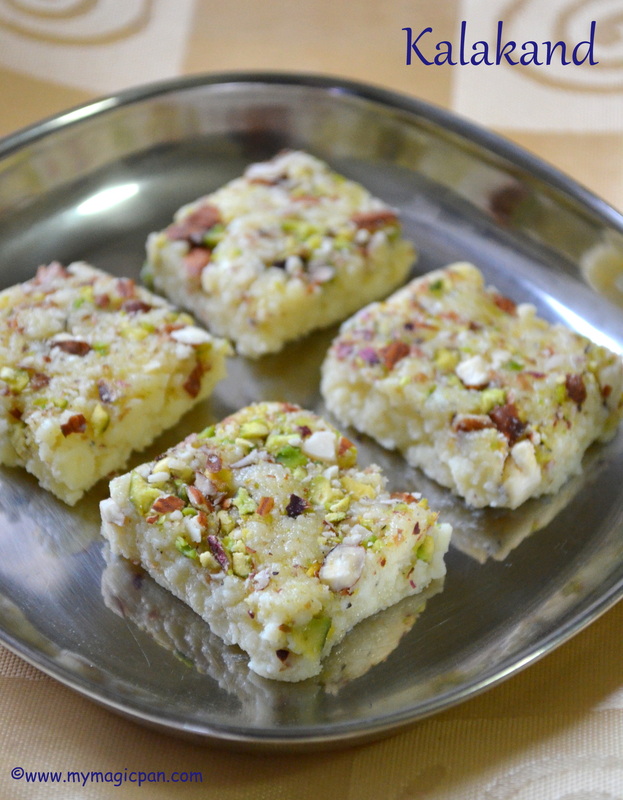 This Kalakand is an easy-peasy sweet that can be made in just 15 mins with very simple ingredients. In fact just 2 main ingredients. 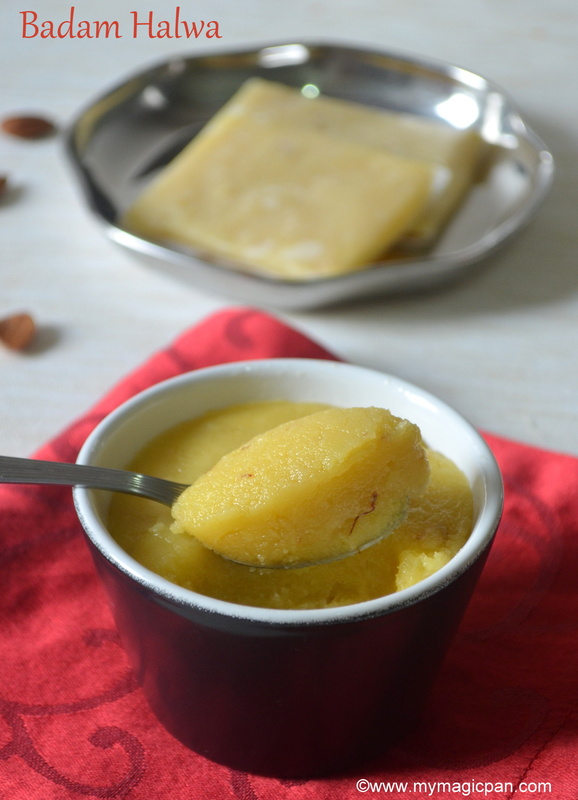 The traditional method to make Kalakand is quite a long process, but this a quick and shortcut method with condensed milk. I made this for a small get-together at home and it was a super hit. I adapted this recipe from nestle channel and tweaked it a bit. Can the 1st post of the year be without a video?!? Definitely not!! 🙂 Another simple sweet woth condensed milk is 10 Min Palkova. Yayyyyy!! Finally made it! Yes!! Adhirasam was a long time due post. I tried making it for last Diwali and it was a super flop 🙁 Did not dare to try it again until this year’s Diwali. It was a flop again!! Lazy me, I tried making it with store bought rice flour. Though I got the jaggery syrup consistency right both the times, it was a super flop!! Finally I made it with homemade rice flour and it was a super hit!! In my opinion, traditional recipes should be made the traditional way – No shorcuts!! 🙂 So pls don’t get disappointed if it doesnt work. Just try again!! 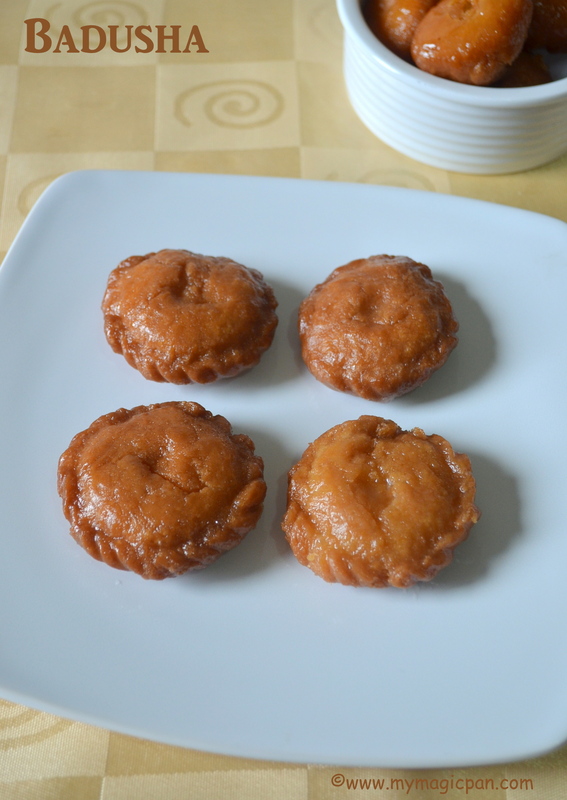 Now I can tell all the Do’s & Dont’s to make Adhirasam successfully..
Badusha is a very popular South Indian sweet. I have been wanting to make this recipe since a very long time. Honestly this is my first attempt. My mom is an expert in making Badusha. But she is so good at it that she makes it effortlessly without measuring. So I was literally pestering her to make it so that I can give the correct measurements here and finally made it. 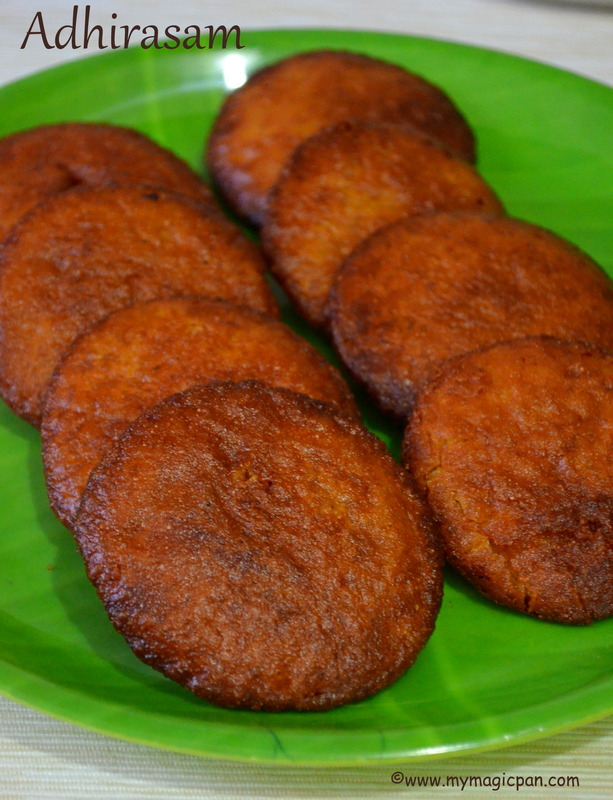 Measurements are very important in making Badusha, especially the butter and cooking soda. Recipe is with full video, so u cannot go wrong anywhere. 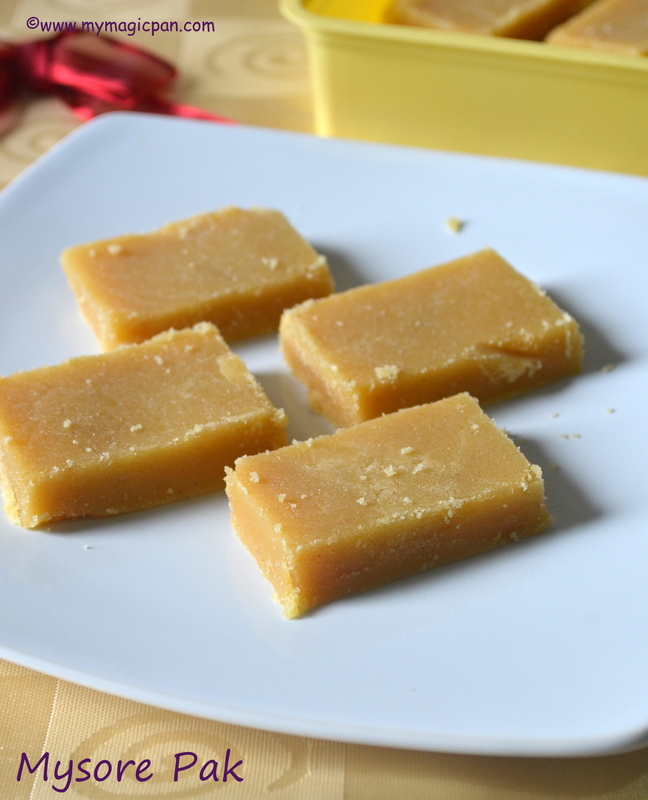 Mysore Pak is a traditional South Indian sweet made with generous amount of ghee and besan flour. It is perfect for Diwali and special occasions. I love the ones that we get in Krishna sweets. 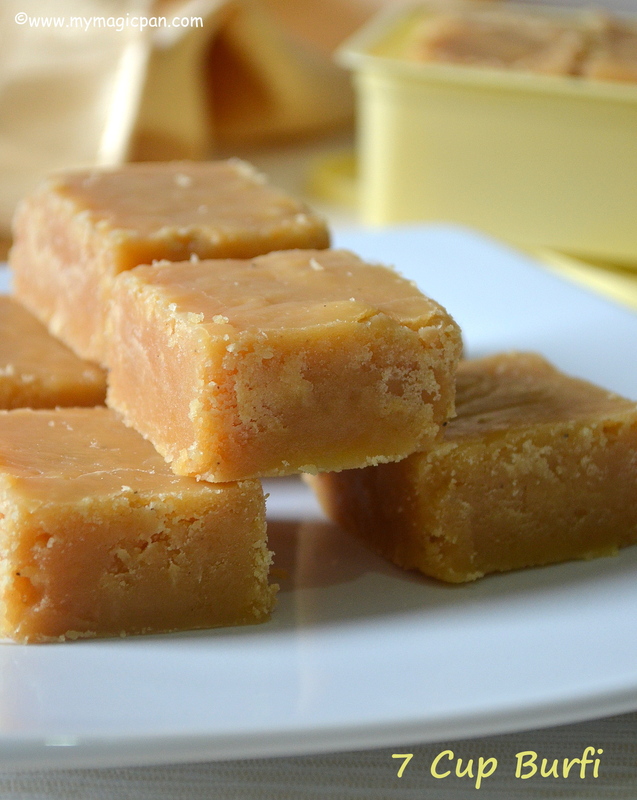 I had posted this Mysore Pak recipe long ago. Updating with new pics and full video recipe. I am so excited to present my full video recipe 🙂 Try this for Diwali and enjoy with your family and friends!! 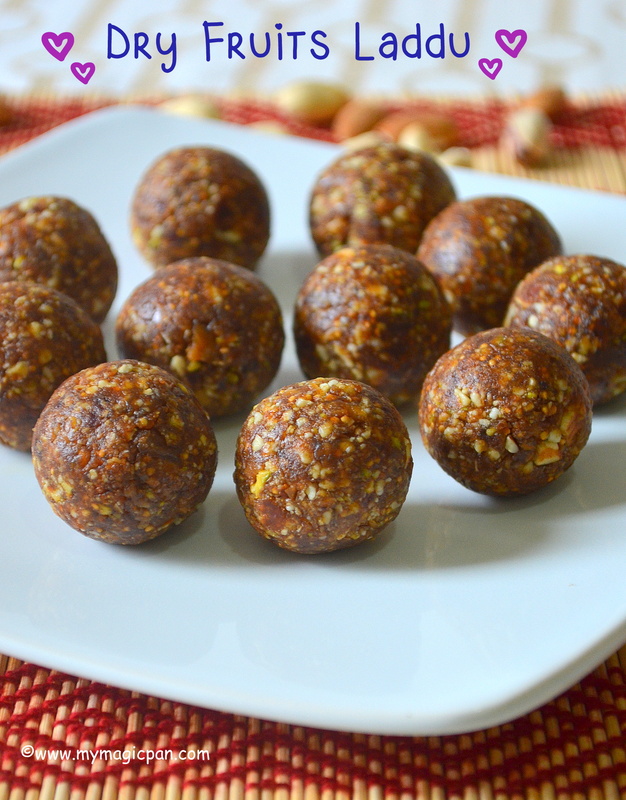 Aval Laddu is an easy and yummy treat that can be made in just 15 minutes. 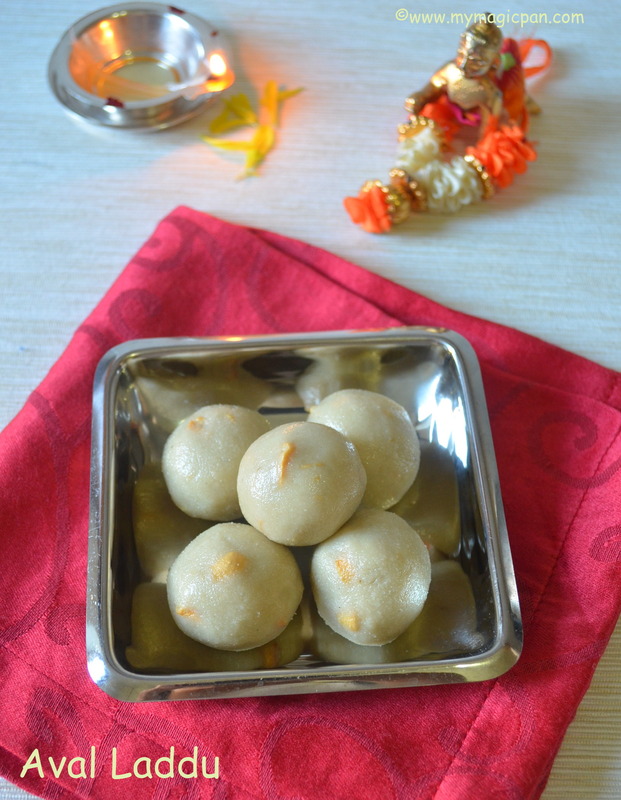 As Krishna Jayanthi is on the 25th of August, thought of posting this easy Aval Laddu. It will be a perfect neiyvedhyam for the occasion. Without any hassles even beginners can make this laddu easily. This can be made as an evening snack too. I am not a big fan of Coconut Ladoo or Coconut Burfi. But when I saw this recipe in the nestle milkmaid channel, was really tempted to try it. To my surprise all of us really loved it. 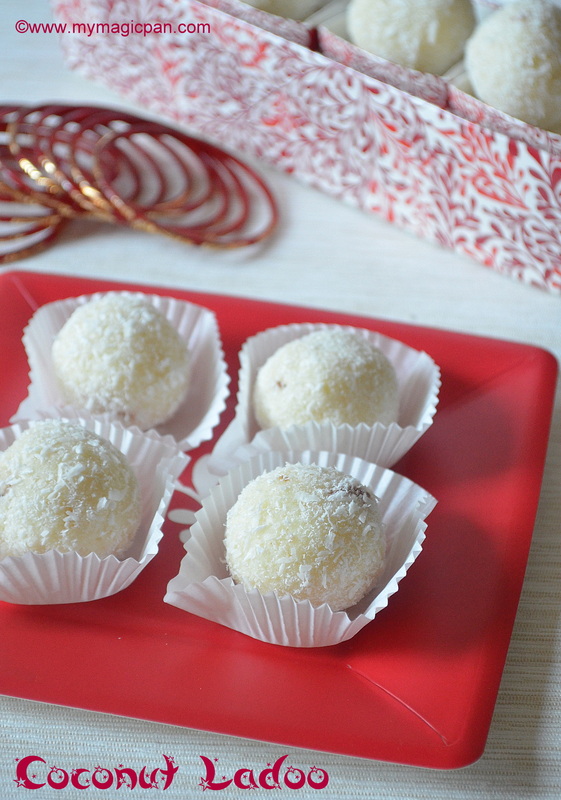 It is so simple and quick to make this Coconut Ladoo. U need to mix just 2 ingredients, cook it for 4-5 mins and shape it once cool. Tadaaa!! Melt in the mouth Coconut Ladoo will be ready!! 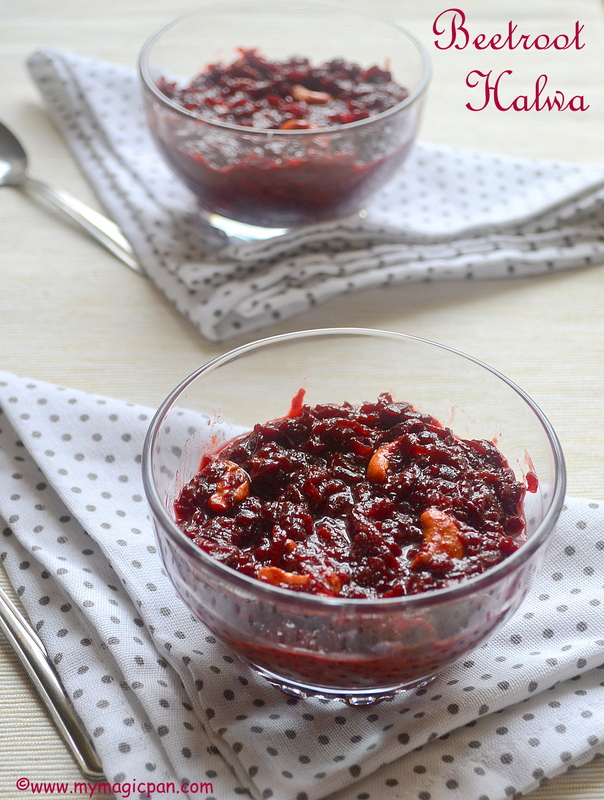 So do try this yet another simple sweet for this Diwali.. Woah!! Its been 2 wonderful years since I started blogging!! 🙂 My blog has kept me busy, improved my cooking skills/my way of presenting food, given me a new identity, made me feel proud and what not!!! The happiest moments have always been a comment/feedback, a phone call or a message/picture from my readers and friends who are following MyMagicPan!! A BIG BIG THANK YOU from the bottom of my heart to all of you!! Hope to get your continued support and encouragement..